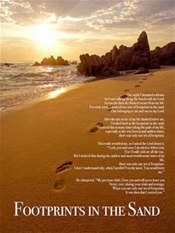 I will remember God's faithfulness to me..
Click on the photo to enlarge..FOOTPRINTS IN THE SAND. "It was then I carried you"...said the Lord. This posting has an excerpt from "Our Daily Bread".. It reminds me that no matter how long I must wait for God's answer to my prayers, he is and has always been there for me. —Psalm 13:1How long, Lord? Will you forget me forever? How long will you hide your face from me? of life seem as though they will never end. I have been struggling with pain in my left knee, My prayers for healing are constant and many are praying with me. Some tell me I'm being stubborn and foolish for not having the knee replacement surgery. I tell them about my problem with pain medications, but it falls on deaf ears. Aside from the pain of that terrible kind of surgery I decided to put my plight in my Lord's hands. When the time is ready, He WILL HEAL THIS KNEE..without surgery. He has directed me to other means of seeking relief of the arthritis pain in my knee's. I had a bout with pain in my right knee, and shots helped it. However, the same shots did not work on my left knee..BUT, God has provided knowledge and skills to other medical professionals and new processes, which I have been getting treated with now. I'd like to say I found success, but, not yet! This group of professionals is determined to find a solution for me. I feel they are my "God" answer..! 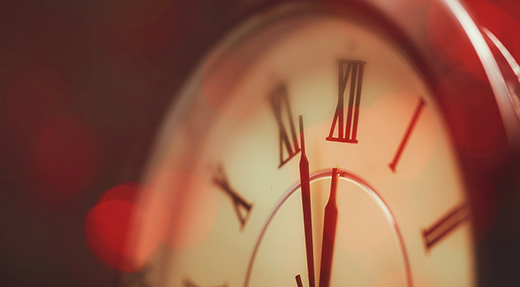 I, Like King David ask, How Long Lord and the answer always comes back, "when it is time !" In this article, I was reminded about how many times my savior was there for me in the past...they are numerous and remarkable, I marvel at His wanting me to be His child and loving me so much that He died for my sins. I am forgiven and redeemed and soon to be healed! The reason I write all this is to encourage anyone suffering with pain, physical or emotional to remember our God is there for you..He gives us hope for tomorrow and comfort for today. I will share the treatments I've been getting soon, but at this time it's a waiting' time. HOW LONG? God know's and he will reveal it to me when it's time.